"Detox", the word you so frequently hear nowadays. And then, there is "TEATOX". 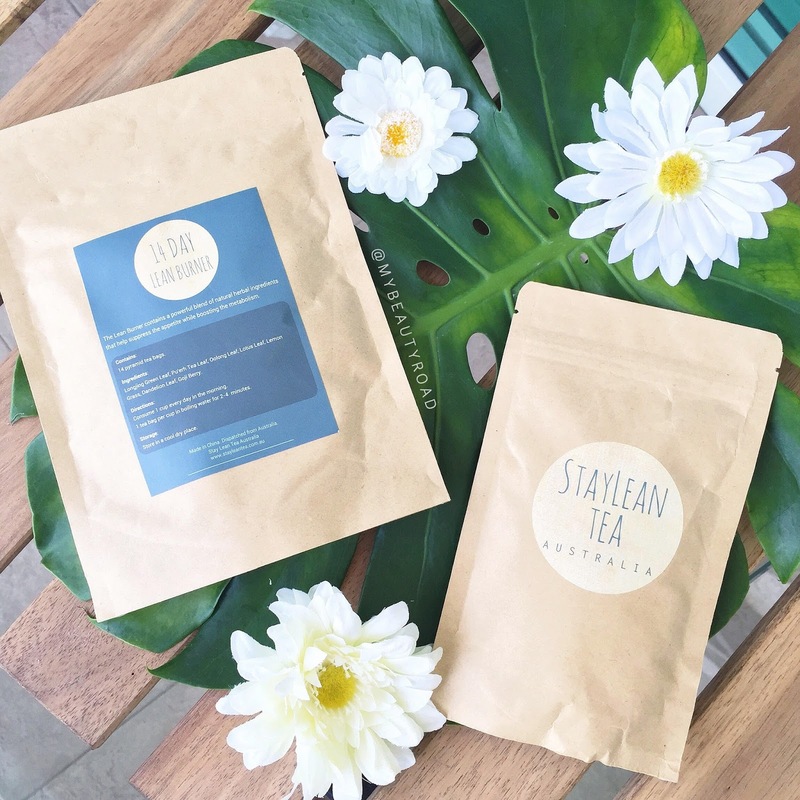 What is teatox? It's basically a tea detox! In Singapore, there is already a renown brand selling detox teas, and so many Singaporeans are going gaga over it. I, on the other hand, never once jumped on the bandwagon because... I don't know, I guess I never bothered to? I don't even believe in "detox" products because I know for a fact that there is no such thing - the body detoxifies itself. Although, being a self-proclaimed beauty enthusiast, I won't say that I was never curious. 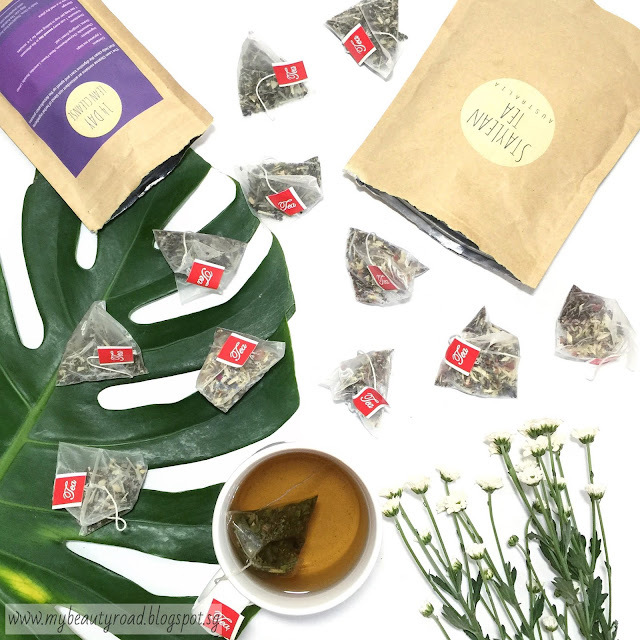 Why are there so many raved reviews and testimonials about detox teas? What exactly is the hype all about...? Well, thanks to Stay Lean Tea, I think I finally have the answer to my own question. 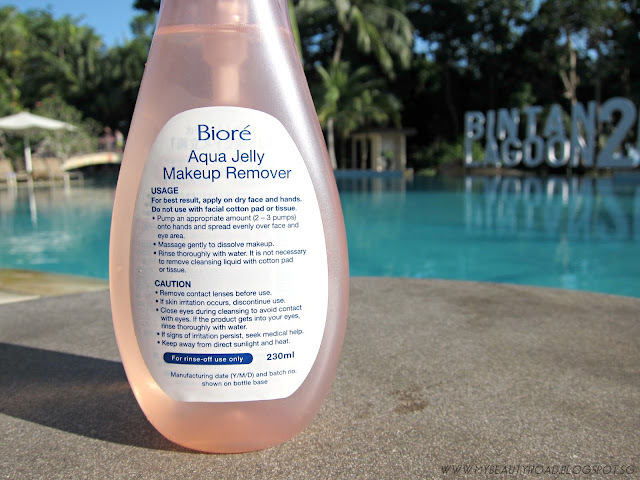 The highly-acclaimed Bioré Aqua Jelly Makeup Remover has won the "Most Effective Makeup Remover" title for The CLEO Beauty Hall of Fame 2015. 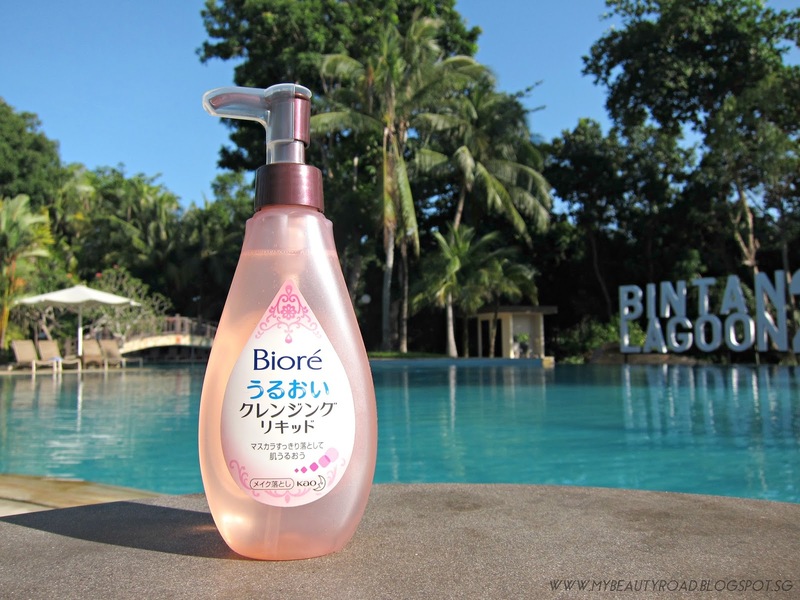 Congratulations, Bioré! With its revolutionary jelly-like texture, Bioré introduces the NEW Bioré Aqua Jelly Makeup Remover which comes in an even smoother, lighter consistency but with the same high cleansing ability - it effortlessly dissolves and lifts off more makeup in a gentle glide. As a user of its old formula, I was curious to find out whether or not the new version really has... improved! 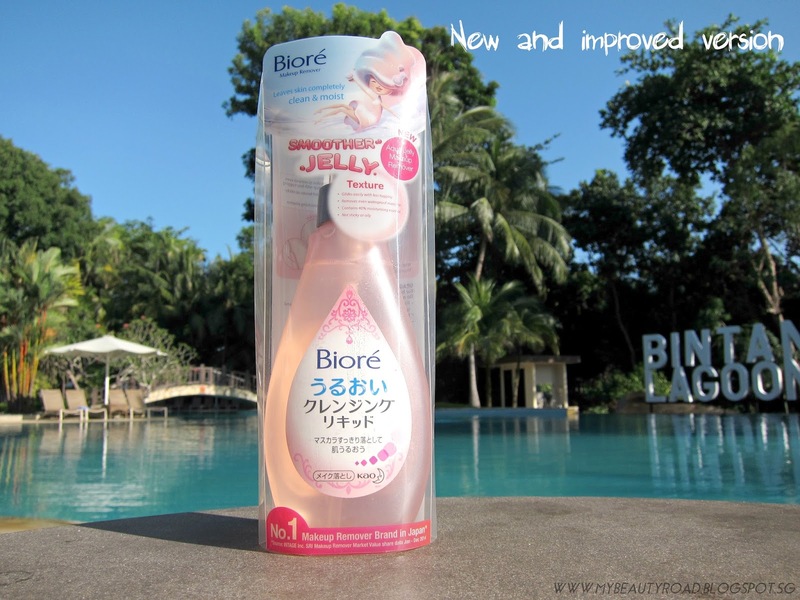 So then, what makes the NEW Bioré Aqua Jelly Makeup Remover version better than the previous one? Not protecting your skin with sunscreen when you don't wanna get hyper-pigmentation is like not wearing a condom when you don't wanna have kids. 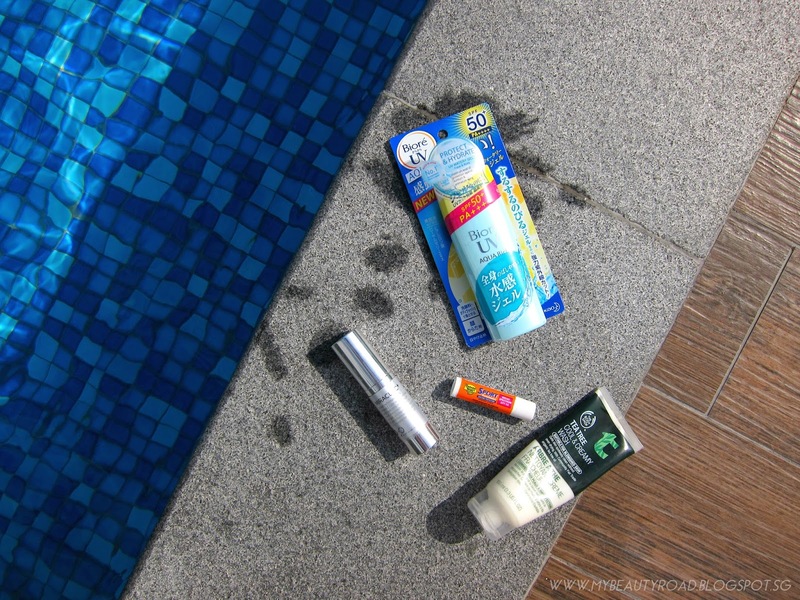 How many of you are guilty of neglecting your sunscreen? Or worse still, how many of you do not actually own a sunscreen? The negative and permanent effects of the harmful UV rays (sun spots, hyper-pigmentation, premature skin aging, skin cancer) only show on your skin years down the road. As quoted from ScienceLearning, "though a tan may look good now, you could be paying for it with wrinkly leathery skin or skin cancer later". Singapore has been extremely hot and humid recently, so today I decided to share with you guys some of my favourite products to use during this scorching period! Don't focus on your mane; focus on your scalp. Just like how flawless makeup begins with a good canvas (a.k.a good skin), a bed of healthy hair starts with owning a healthy scalp. Before I proceed further, I just wanna add in that I am now part of the GetKlarity team as one of their GetKlarity Brand Ambassadors! Woohoo! :D If you haven't heard of GetKlarity, it is a beauty and wellness website / app that allows you to luxuriate in some much-needed 'me-time' anytime, anywhere. The cool thing is that they even have a blog filled with editorial reviews and inspirational articles, so be sure to keep a lookout for my articles on www.blog.getklarity.com! :) What's more, if you like discounts (come on now, who doesn't? ), you don't wanna be missing out on all the promotions EXCLUSIVE to GetKlarity readers! Barely 2 months ago, I was warmly invited by The Influencer Network to attend the soft launch of a new luxury spa in town: Simply Aesthetics - a place that aims to marry "aesthetics" and "beauty" with the latest aesthetic technologies and cosmeceuticals for quick, effective results. In line with the theme of Capitol Piazza (where it is located), a luxurious and newly restored historical building just outside of City Hall MRT, Simply Aesthetics provides a luxurious pampering environment that is bound to make you feel like a princess or prince! 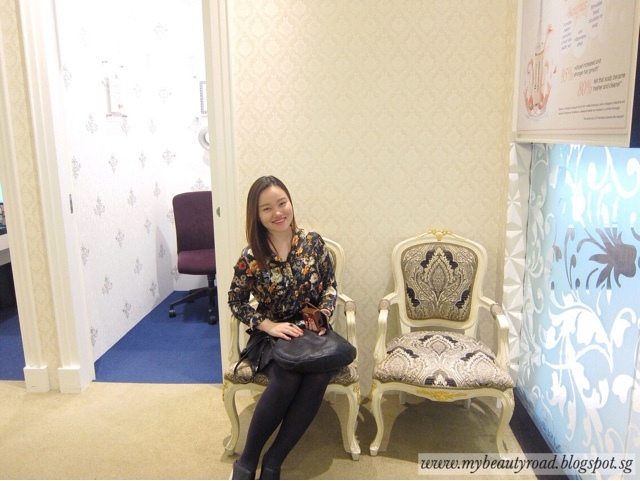 Pretty treats and luxurious-looking decor at Simply Aesthetics during their soft launch party! Simply Aesthetics was also really generous, because I got to try out their LED Teeth Whitening and an exclusive 2.5hr facial with compliments from Simply, both of which I will share more about today! "I don't want a slim face." ...Says nobody ever! It's totally understandable to want a slim face (aka V-line) because it makes our facial contours look more defined = look slimmer. 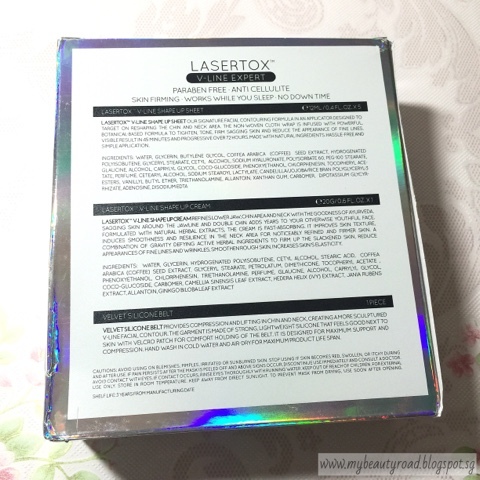 Instead of relying heavily on your contour creams and powders, or botox on the more extreme end, I may have found a much better solution for you - without having to contour or go for botox injections, that is! Introducing the KLARITY Lasertox™ V-Line Shape Up kit, an intensive 5-day treatment to visibly shape and lift the face. Now, I don't know about you, but I am the biggest sceptic of such at-home products. Just like some lifting / firming facial creams - sure, it may really work and you will probably see results, but the results usually only last for a few hours. It goes the same for whitening facial masks, right? You put on a whitening mask for 15-20 minutes and your face really does appear brighter and/or fairer after you remove the mask. But this is only temporary; the "whitening effect" definitely won't last you more than 1 or 2 day(s)... at least for the ones I've tried. All these are just temporary fixes that are ideal for pre-events or pre-parties. 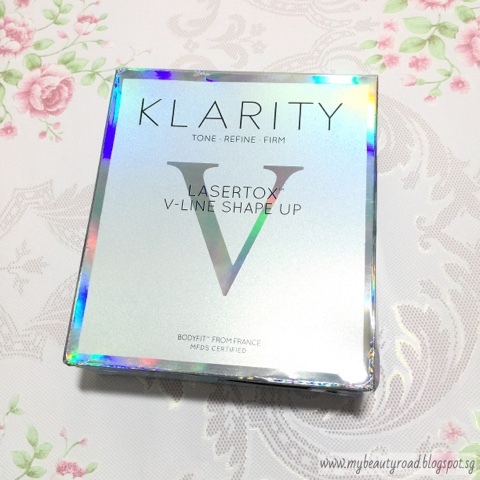 What about the KLARITY Lasertox™ V-Line Shape Up kit...? To be honest, I was really curious myself (only because I was sceptical hahaha). I couldn't wait to put this product to the test, especially with all the raved reviews about it!